International Congress of Metrology 2013: measurement and production, one challenge! "Portable measurement, embedded measurement, extremely accurate or just fit for purpose, which to take at what point? Measurement plays an essential role in any quality system, recognizing its importance in decision making: Managing risks, indicating performance, meeting specifications and better quality control. All that will be discussed during this event! " The International Metrology Congress is the place for a broad technical exchange - unique in Europe – assembling all major players in the world of measurement: industrial users, technical experts, associations, academics, manufacturers and service providers. It showcases and exemplifies the added value of measurement: as a tool for process improvement and risk management. 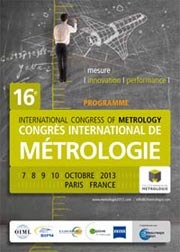 The 16th Congress of Metrology sessions are presented below. In addition, about thirty articles, selected by the steering committee, and reviewed by a selected panel of the « scientific and technical committee » members are released on the website of EPJ Web of Conferences. Those papers are presented by their authors during the six industrial round tables and the 180 conferences, allowing debates with the Congress participants. Measurement is the common theme of all those publications which deal with industrial and research way of using measurement. They naturally covers a wide range of areas such as physics (mechanics, thermic, electric, form and surface, force and pressure, flow), but also chemistry, biology, medicine, environments and challenges in energy, metrological requirements, nanotechnology’s challenges, risk management and product compliance… Those publications establish a state of the recent progress of many European research programs and their industrial applications. 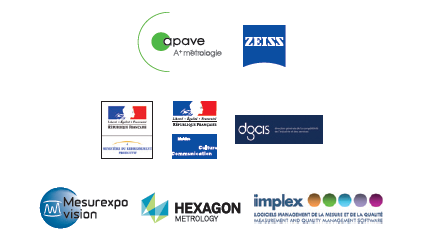 The Congress is organized by the French College of Metrology in partnership with Euramet, the BIPM, the OIML, the NCSLi, the NPL and the METAS for the international opening. 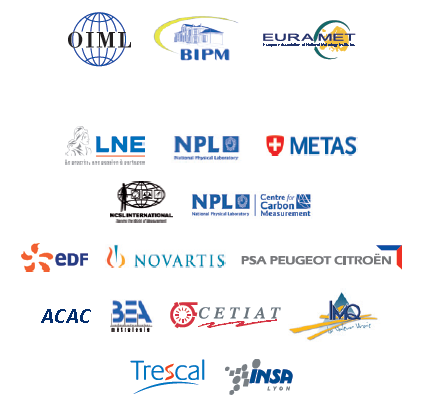 Some users, professionals and Academics are part of the organization group: EDF, Novartis, PSA Peugeot Citröen, Stork Intermes, Acac, BEA Metrology, Cetiat, IMQ, LNE and INSA participates in the steering committee. Partners of the Congress 2013: Apave - A+ Metrology and Carl Zeiss. Hexagon Metrology and Implex are associated to the conference preparation. As for the previous edition, the Congress is organized together with Mesurexpovision.